The course gives participants the knowledge, skills and confidence to act in the event of an emergency at Education and Care Setting. This unit of competency has been approved by Australian Children’s Education and Care Quality Authority (ACECQA) who has deemed it to satisfy all requirements for first aid, anaphylaxis management and emergency asthma training under the Education and Care Services National Law, and the Education and Care Services National Regulations (2011). This course delivers the skills and knowledge required to provide first aid response, life support, management of casualty(s), the incident and other first aiders, until the arrival of medical or other assistance. First Aid training covers topics such as Cardio Pulmonary Resuscitation (CPR); fractures and dislocations; burns and scalds; head, chest and spinal injuries; fainting and unconsciousness; bandaging techniques; severed limbs; poisoning, bites, stings. Emergency First Aid Response in an Education and Care Setting HLTAID004 certification is valid for 3 years. Provide First Aid HLTAID004 training course is delivered and certificates are issued by the Training Aid Australia (RTO No 91411). I’ve lost my Childcare First Aid Certificate, what do I have to do? Do I have to do the course again? To receive a replacement certificate simply call your training provider, they will be able to send you a copy of your certificate. You are not required to resit the course if you have lost or misplaced your certificate. How long is certificate valid for? When do I have to renew? Your Childcare First Aid certificate has validity of 3 years from the date of when you sat the course. The CPR component of the First Aid certificate is valid for 12 months and must be refreshed every year to keep your qualification up to date. Do I have to carry my First Aid certificate on me/Is there a First Aid card I can obtain? Generally speaking, no. However, employers might also ask you for a photocopied version to keep for their records. There is a wallet sized plastic First Aid card that can be purchased from our offices. You will need to have your picture taken and some details recorded and the card will be sent in the mail within a few weeks. What do I have to bring with me to class? A participant needs to bring photo I.D. and completed 65 question workbook. The workbook can be downloaded from the link provided in booking confirmation email. Edway Training provides all the necessary paperwork and first aid training equipment (e.g. manikins, training defibrillation, bandages). Can I use my First Aid certificate in other states? Is it nationally recognised? Yes, you can use your First Aid certificate in different states. Provide First Aid HLTAID003 training is recognised and accepted Australia wide. What do I receive on the day of training? After successful completion of the end of the day assessment, participants are issued with the Provide First Aid HLTAID003 Statement of Attainment (Certificate). Please note that completion of this course also provides Provide Cardiopulmonary Resuscitation (CPR) HLTAID001 and Provide Basic Emergency Life Support HLTAID002 qualifications. What is covered in the First Aid training course? What do I learn? 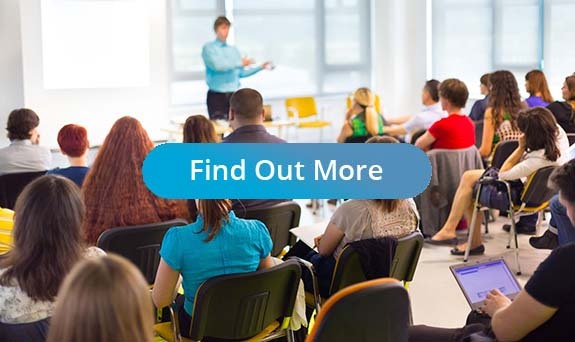 These topics are covered in various activities including PowerPoint presentation, practical activities, role plays, group discussions and an assessment at the end of the course. Can I do my First Aid online? Some components that need to be assessed in order for you to pass the First Aid course are practical activities and cannot be done online. What other similar courses does Edway offer? Edway Training offers the CPR (HLTAID001) as a separate course for those who need to update their certification. This component needs to be renewed every 12 months. We also offer the Childcare First Aid course (HLTAID004) which covers asthma, anaphylaxis and incident reporting. This course is required for those working in around children in an education or care environment. It costs an extra $50 and consists of everything learned in the First Aid training course plus the components mentioned above. This has an expiration term of 3 years. What is the minimum age to complete the First Aid? There is no minimum age to complete the First Aid training course. ASQA is the regulatory body for our First Aid training courses. Please let us know when booking if you are going to bring a translator as we will have to reserve a seat for them. If you fail the exam we allow you to come back and re-sit the exam. You do not have to pay nor sit through the whole course again, we simply ask that you choose a date and time and come back to have another attempt at the exam. Our 8 Hour course fits neatly into busy schedules. See our dates and times from 9am – 5pm (Approx. finish time) each day.